Ontario’s Lake Country is home to several wonderful Hotels & Motels with many situated in and around Orillia, the heart of Lake Country. They are comfortable and conveniently located to access all of the exciting experiences offered throughout the region. Including top hotels chains such as the Best Western, Comfort Inn and Days Inn or enjoy the comforts of home at Stone Gate Inn. View the following accommodations to find what suits your needs for you overnight stay! The BEST WESTERN PLUS Mariposa Inn & Conference Centre – Orillia’s foremost meeting and resting place. 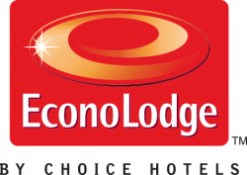 We offer 83 large well appointed guest rooms each featuring a fridge, microwave, and high speed wireless Internet access. Guests can enjoy the Grape & Olive Wine and Martini Bistro, Grapevine Lounge, two dining patios, gazebo with landscaped courtyard, indoor pool, hot tub, sauna, fitness centre, and Casino Shuttle (small fee). From fine food, to weddings, conferences, meetings, banquets, parties and local attractions, the BEST WESTERN PLUS Mariposa Inn & Conference Centre along with its friendly and professional staff can accommodate your each and every need. Certified “Bicycle-Friendly” by Ontario By Bike. Guest rooms with fridge, microwaves, satellite tv. Guest rooms with hot tub & jacuzzi. Free Continental breakfast & free wireless internet. The Best Western Plus Orillia Hotel offers 81 spacious well-appointed guest rooms, fireplace rooms and Jacuzzi suites, each featuring fridge, microwave and high-speed Internet access. Hotel guests will enjoy a complimentary hot breakfast each morning. Dining is available onsite at the Portage Italian Bistro which offers a wide variety of delicious meals for dinner. Other hotel amenities include a Casino Shuttle (small fee), Exercise Facility, Hot tub, Sauna and meeting facilities for up to 30 people. Relax in luxury! Inspired by the classic Muskoka lakeside cottage, you’ll enjoy the comfort and hospitality of our all-suite luxury hotel. Each of our Deluxe Suites is spacious and cozy with plush, comfortable bedding and your choice of double or king-sized beds. Also, every suite offers a full living area, flat screen television and additional seating. 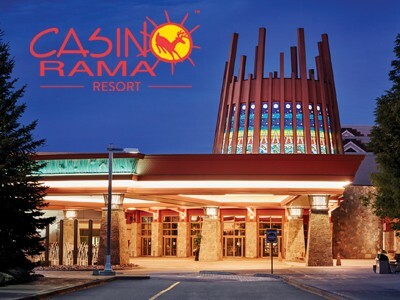 Book your stay with us and find out why Casino Rama is one of the most talked about Orillia Hotels. WELCOME TO THE COMFORT INN, an Orillia Hotel minutes from Casino Rama. This Comfort Inn hotel is minutes from excitement and entertainment offered at Casino Rama and close to many local attractions including Hardwood Ski and Bike, Hawk Ridge Golf Club, the Orillia Opera House, Lakehead University and Ontario Provincial Police Museum. Certified “Bicycle-Friendly” by Ontario By Bike. The Eagle Motor Inn came under new ownership in January 1993. With extensive redecoration and upgrading, we can offer you a comfortable stay in one of our motel units while in the City of Orillia or surrounding area. The Holiday Motel offers 17 spacious rooms. Only minutes to Casino Rama. Located just 90 minutes north of Toronto and 2 hours south of North Bay. With newly renovated property we offer you quality and comfortable accommodations for business or pleasure. 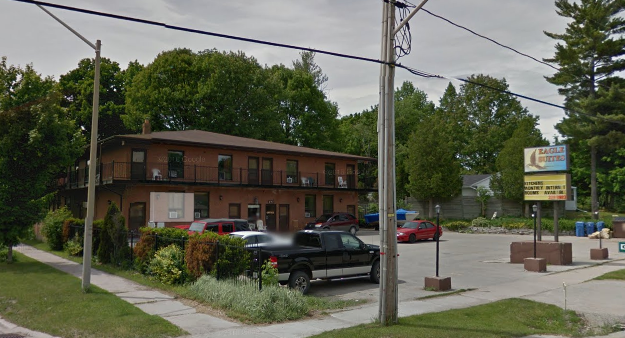 Kings Inn is centrally located minutes from downtown Orillia, Ontario. All major attractions are a short 5 minute drive from Kings Inn – Orillia which make us a great destination for your visit to Orillia. The spectacular historical town of Orillia is located just 1.5 hour drive from Toronto. With our 24-hour services and all year around operation gives a more flexible accessibility and value for the guests staying at the Kings Inn – Orillia All the rooms are beautifully equipped with amenities for your convenience. At the Knights Inn Orillia Hotel, we pride ourselves on exceeding your accommodation expectations through friendly service and exceptional value. Our newly rebuilt hotel features complimentary continental breakfast, free parking, high speed internet, LCD HDTVs and complimentary fridges and microwaves in all our affordable rooms. Located in the Heart of Ontario’s Lake Country, Knights Inn offers guests easy access to a variety of recreational activities including walking paths, Tudhope Park Beach, golf courses, horseback riding, show skiing, snowmobiling, boating, jet skiing and fishing. Knights Inn Lagoon Harbour Resort & Hotel offers cozy and unique guest accommodations ideal for family holidays, romantic getaways, and group retreats. Located in Lagoon City, also known as Canada’s Little Venice on the shores of beautiful Lake Simcoe. Lakehead University Residence and Conference Centre offers accommodations and conference services to meet your needs. Accommodations are available May to August. Year round, we offer a variety of hospitality services to host your special event. Just 10km north of Orillia, in Ontario’s Lake Country, located near Lake Couchiching, Sparrow Lake and the Trent-Severn Waterway and central to a variety of activities including fishing, boating, hiking, snowmobiling, ice fishing, skiing and golfing. 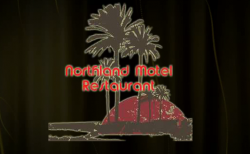 For an economical getaway, stay at Northland. QUALITY INN & CONFERENCE CENTRE Enjoy a variety of amenities and friendly service when you stay at our pet-friendly Quality Inn® & Conference Centre Hotel in Orillia, ON. Amenities include: Free WiFi Full breakfast buffet* Meeting space Restaurant and bar Fitness center Guest rooms feature: Microwave and refrigerator Flat-screen TV Coffee maker Hair dryer Iron and ironing board Our property is located close to Lake Couchiching and other popular attractions, including: Leacock Museum National Historic Site Scout Valley Loop Trail Horseshoe Valley Casino Rama Opera House Make the most of your time when you book a room at our affordable hotel in Orillia, ON. There’s also the chance to earn points with our Choice Privileges® Rewards program, which can be redeemed for rewards like free nights, gift cards and more. The Royal Pets Hotel and Spa provides the absolute best in pet boarding, dog boarding, cat boarding, care and pampering to Ontario’s dogs and cats, from nearby Barrie and Orillia to Toronto, Vaughan, York Region…even Oakville, Brampton and Muskoka.